First, you're in the right spot. We offer programs for boys and girls ages 4 through 9. 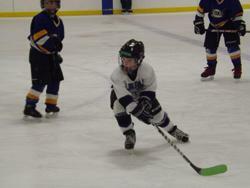 Have a child that is interested in hockey? Can't find what you are looking for? Just email us and we'll be happy to chat with you.